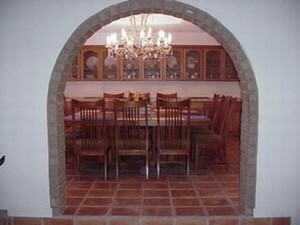 5200+ sq ft with 6 bedrooms / 6 full baths have a variety of sleeping arrangements. The master suite features a king size bed, 3 queen size bed bedrooms and 8 singles which can be arranged into 4 kings or any other set up you choose. They will be ready when you arrive. In addition, we have 3 quality sofa beds, a roll a way and a crib. Most of the bedrooms include a TV/stereo. 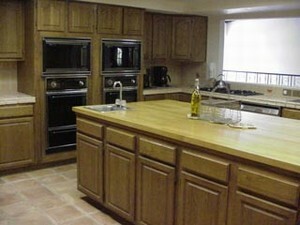 A gourmet kitchen that includes double microwaves, ovens, dishwashers so you can entertain large parties, family room with a 53" HDTV entertainment center, DVD, VCR, digital viewing and music, huge entertainment room that includes full service wet bar, pool table, darts and TV, service for 24, conversation area for 50+. 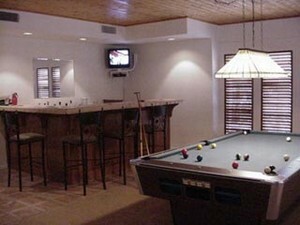 You can entertain with many different kinds of games such as chess, backgammon, Scrabble, Boggle, etc. 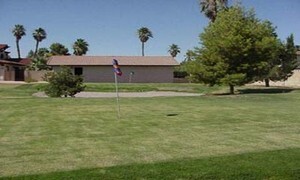 For your enjoyment outside, a brand new 16 X 36 heated swimming pool, we have a 8000 square foot professional putting green that includes 6 entry points to 3 different holes to give you the feel of 18 unique holes plus entry points from a large sand trap. You can practice your pitch and putt game to your heart's content. 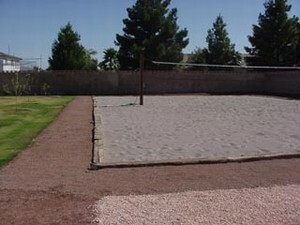 In addition, we have a full size sand volleyball court, picnic area, running track, basketball, horseshoes, jacuzzi, etc. This is a party home for a golf party, volleyball party, card party, family reunions, a wedding party, a marriage encounter, just friends, or use your imaginations... Great for a corporate meeting or a New Year get together. 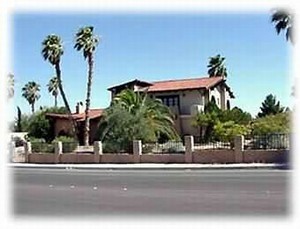 We are located in East Las Vegas, just off Russel and Patrick. This equates to less than 5 minutes to the airport and about 5 minutes to the strip. Business mens special starting at $499 per nite some restrictions apply. Mid week from $2750. 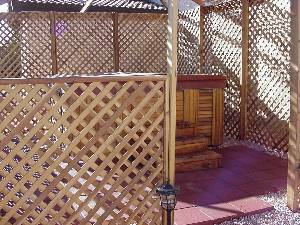 3-nite weekend from $2750. 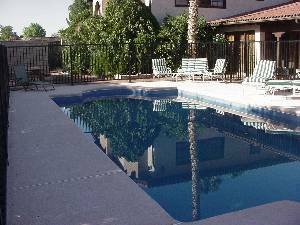 4-nite weekend from $3350. Full week from $3750. Full month from $10500. Deposit: 25% with reservation, balance 15 days before rental. Cancellations and Refunds: Refunds accepted with 60 day written notice. Required Stay: 3 nite wkend, 4 nite mid week.